A couple of my readers asked me about an entry in my first “Sunday Stumble”… “Why would anyone stone owls?” Good question. I will attempt to explain – although if anyone has more information or insights to contribute, please feel free. I am no expert, but I do believe the stoning of owls in Jamaica is based on superstition. They are a symbol of death – or they bring death. An omen, rather than a symbol, actually. The name “Patoo” originates from the Twi word “patu.” Twi being Ghana‘s principal native language. There is a bit of confusion with another Jamaican bird, the Potoo, which is by no means an owl, but a “goatsucker” (a nightjar), an extraordinary bird I will have to tell you more about another time. 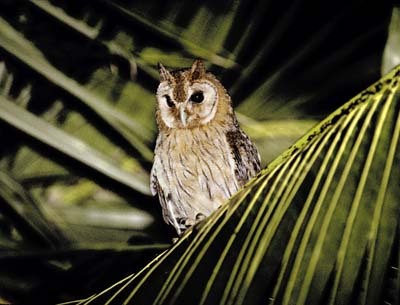 There are two types of owls in Jamaica: the Barn Owl (also often called the Screech Owl or Scritch Owl), and the Jamaican Owl – somewhat smaller and very brown, with charming ear tufts. I understand that the Barn Owl is more feared, and more often stoned. Of course, we have similar Barn Owls across several continents – but our Jamaican one seems especially pallid, ghostly white (and, to me anyway, quite beautiful, with his huge face and black eyes and silent white wings). In many parts of the Eastern Caribbean he is called a Jumbie Bird – or Spirit Bird. So he is very much associated with ghosts (duppies in Jamaican parlance). The fear of owls seems to have been brought to Jamaica by African slaves, and generally all over Africa owls are regarded as harbingers of bad luck, disease, death. In Zimbabwe, I understand, many believe that if one lands on your roof, there will be a death in the family. Just as in Jamaica today, they are also stoned and chased away in some communities. No one wants them near their house. In several other cultures, owls are revered and respected, rather than feared. Most Native American tribes find them powerful creatures and the Tlingit tribe used to go into battle hooting like owls. In European traditions, owls are often considered wise. One of my childhood books (whose main character was a motherly grey rabbit dressed in women’s clothes, an apron and such) included Wise Owl – who was only marginally scary because he was pretty much a recluse, and rather mysterious. In the end, though, he turned out to be a very useful member of the quaint little woodland society in the book, and of course quite fearless. I always associated owls with wisdom (often holding a book in their claw). 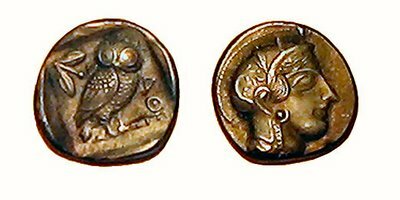 I believe this all derives from the Greek myth of Athena, the goddess of wisdom, who actually shape-shifted back and forth from human to owl. And yet Will Shakespeare himself regarded and described the owl as a bringer of doom, just as Jamaicans do. Many Arab traditions also fear the owl, for the same reasons. In Mayan mythology, the messengers of the Death Gods are owls. Nevertheless, when I hear the Barn Owl’s wings creaking steadily over our house in the evenings, and his hissing screech, I feel in a way reassured. To me it is far from fearful, it is comforting. And I wish him happy hunting. PS Did you know the word for the fear of owls is oclophobia? Well, among several other phobias which I do not wish to discuss here, it seems there are Jamaican oclophobes. Like the fear of lizards (herpetaphobia) it is one that we should really try our best to overcome. After all, owls are very useful creatures; they eat the rats that are threatening to overwhelm us here in the city – oh, and they eat the much-feared lizards, too. What’s not to love. Also called a Patoo, this is the lovely little Jamaican Owl, trying to look fierce. 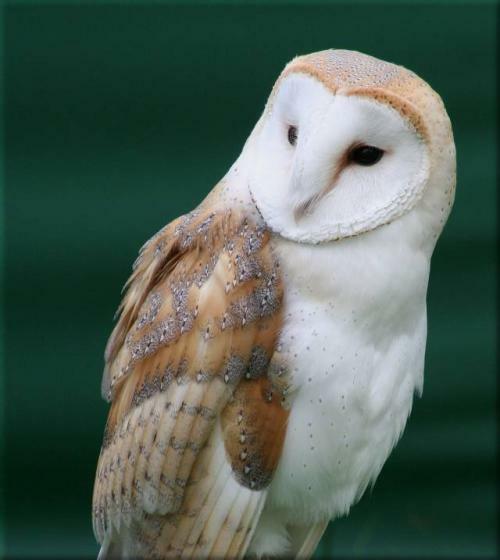 Barn owls are one of those really successful species of birds that inhabit many parts of the world. We have them in my neck of the woods – Australia. I also have fond memories of walking along water meadows in England, watching barn owls silently hawking for voles – magnificent birds! Hi James! Ah yes, memories! We used to have a barn owl visiting us almost every evening, but in recent years not so often, perhaps because a number of large trees have gone. I’m always hoping one will take up residence in our big guango tree, and in fact, recently we’ve heard the “creek creek” sound and an occasional screech! So I’m hoping they will be making a comeback. The Jamaican Owl is a bit more rural. Rather surprisingly, we have also seen the very nocturnal Northern Potoo – right in the middle of the town. I wish you had been able to see more of these birds when you were here, James! The lousy weather… Sending lots of love! Until we know different, it seems we are ‘afraid’ of nearly anything we do not understand or comprehend. What is wrong with us humans? we would rather be fearful than learn about something and gain understanding. In some ways having ‘fear’ is safe. It protects us to a point, until the object of our fear drives us mad. Fear is such a powerful emotion, Eddie! As you say,”until we know different.” And fear is comforting in a way too, so as you say we would rather stay that way. I have a terrible fear of flying (and high buildings) and am trying to find ways to overcome it, because I know it is not logical and I know that flying is the safest way to travel! But it is still hard to overcome. What worries me more is that fear often leads to hateful and destructive attitudes and behaviour…like killing an owl. Thank you for your comments! I found your article quite accurate and interactive. Your passion and understanding of the Jamaican culture and cultures in general exuded from each line. Quite refreshing I must add. Thank you and keep up the great work. i heard when a cat dies, it goes into the woods and turns into a patoo!!! I love owls, so I was happy to discover your post. Thanks! I love owls too – night birds in general are so beautiful and mysterious, I find. Glad you enjoyed the post. Birds have a job to do keeping the environment in good order and we should stop throwing stones at birds. Too many people just try to kill birds for no good reason. I love that Barn Owl!! Owls are symbols of death but so what? Don’t throw rocks at owls they’re cute! I quite agree with you! Thanks for stopping by with a comment! Ah, superstitions. Funny how they stay with us even when we know it’s daft! I know… It’s quite illogical but somehow they are comforting (although not, in this case, for the owls!) I still cling to (and remind myself of) my grandmother’s vast range of English superstitions… Don’t put shoes on the table, don’t bring bird feathers into the house, don’t open an umbrella indoors, don’t wear green – it’s the fairies’ color, etc. Mostly “don’t”s! No – please don’t! I think they are wonderful and fascinating birds. Even when our local Patoo sits in a mango tree and stares down at us at nights, not even the slightest shiver goes down my spine!! There’s a video on my blog (if you scroll through) about Snowy Owls, from the Cornell University bird lab which is wonderful. Your mother might like that! I didn’t know the Potoo was also abused in this way – how sad, they are incredible creatures. There is a lovely little video link at the end of my blog post, of a Richard Attenborough trip downriver in Brazil, where he meets a Potoo doing his “I’m not here” thing. Wonderful. We had a Potoo sitting on the USAID sign on our Embassy compound in Liguanea one day – all day, right in front of the entrance, with people walking in and out a few inches away from him. The Americans were amazed by him – I had to look him up and send them an email explaining what he was! About the time we normally go home, he decided to leave too! Brilliant! Thanks for that – I had a feeling it would be to do with superstition.